In 1663, Europeans called Australia ‘New Holland’, New Zealand was considered one land mass and Tasmania had only been sighted by Abel Tasman – it would be another hundred years before Europeans would set foot there. The powerful Dutch East India company, which traded in and between Asia and Europe for two centuries, held and protected this knowledge; it was commercially sensitive and competition was fierce. 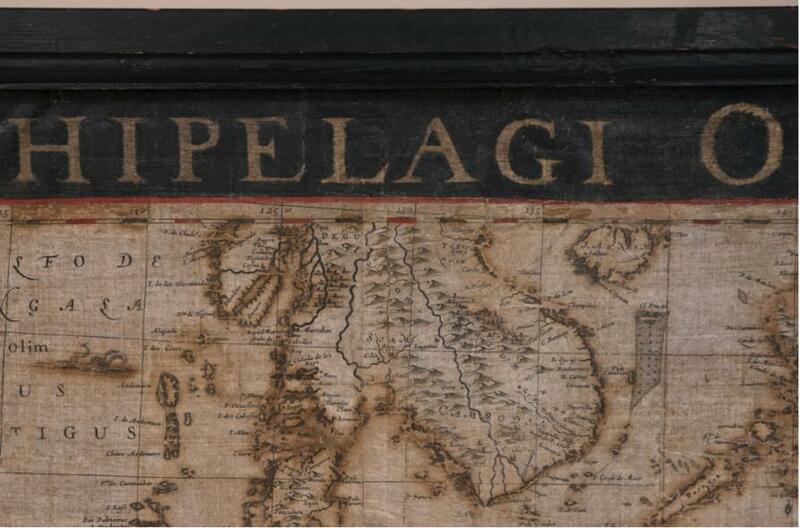 But while these traders dismissed Australia’s potential as a commercial partner, they were responsible for one of its first maps: the Archipelagus Orientalis, sive Asiaticus (Eastern and Asian archipelago), produced by their master cartographer Joan Blaeu. 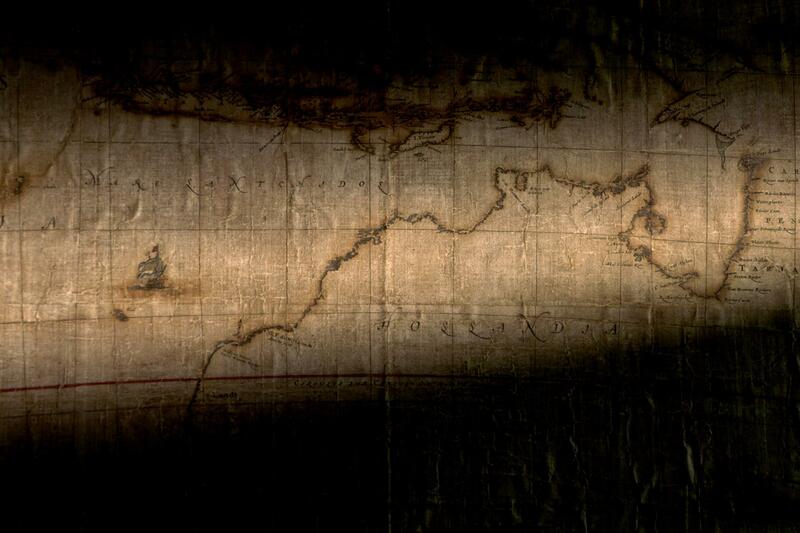 The first large-scale map of the land that would come to be known as Australia, it is one of the rarest in the world. Four copies are known to exist, and the National Library of Australia acquired one of them in 2013. 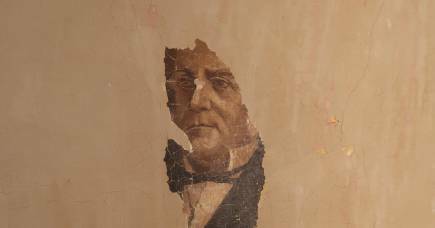 “The map was found in a storage unit in Sweden in 2010,” says Libby Melzer, Senior Paper Conservator from the University of Melbourne, who was part of the Grimwade Centre for Cultural Material Conservation team that restored it. 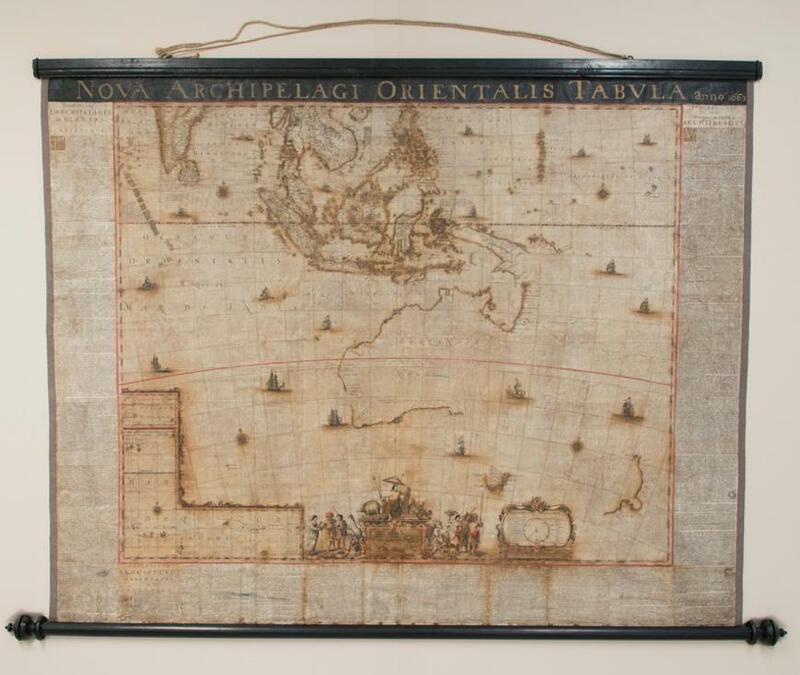 In the past, Blaeu maps were considered very prestigious and were hung in important homes and buildings. The map shows the west coast and north of Australia in good detail, but much of the south coast and all of the east coast are largely absent – these areas would not be mapped until Captain Cook’s arrival over one hundred years later. And it only shows the southern coast of Tasmania. “Australia had no spice, so many of the discoveries of Australian land were incidental encounters along their way to the spice islands,” explains Ms Melzer. And the team also found some delightful surprises. “There are lots of ship details on the map, and as we removed the varnish we discovered they bore either a Dutch or a Spanish flag. They are a key to indicate the owners of that territory,” says Ms Melzer. 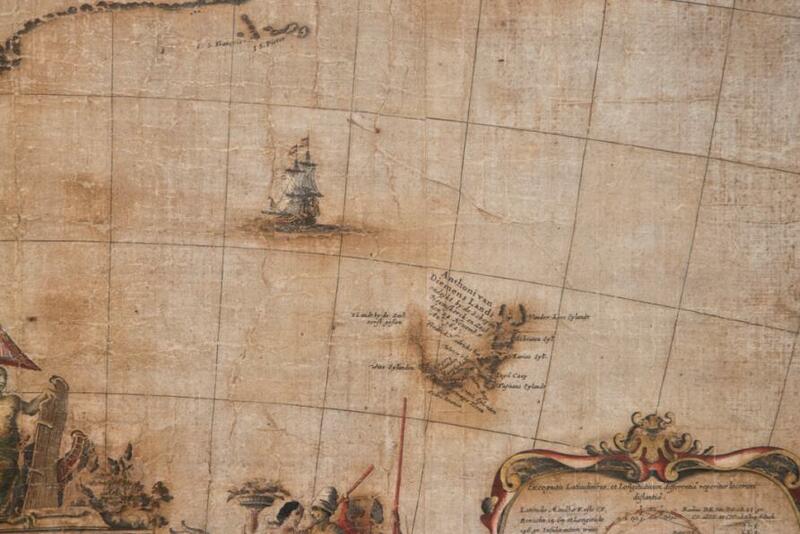 The map has since returned to Canberra, where it forms part of the National Library of Australia’s new Mapping our World: Terra Incognita to Australia exhibition.